PCMS Design Helps to Raise Over £800 for Alzheimer’s Society! Staff from PCMS Design recently took part in the London Memory Walk. Memory Walks are held around the country, and each one raises vital funds for the Alzheimer’s Society whilst publicising the cause. 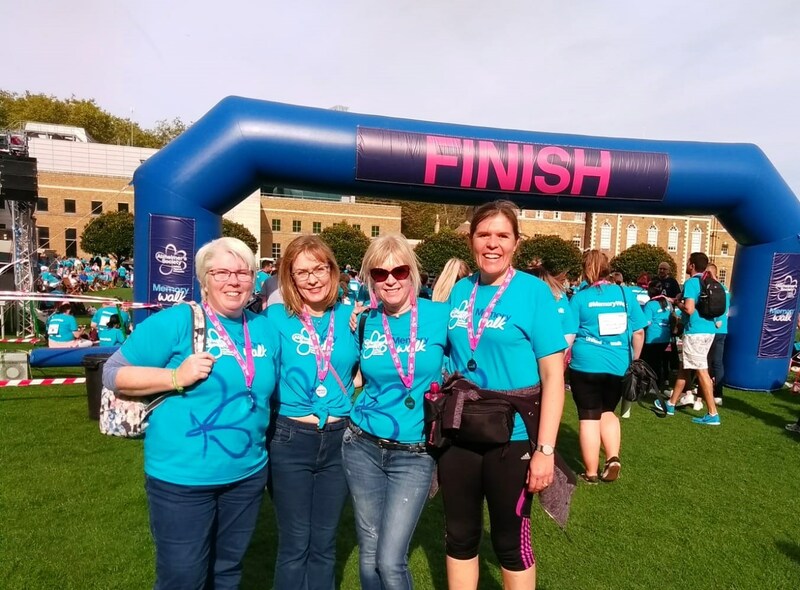 The 7.5km London walk was held on Saturday 13th October – which happened to be a beautifully warm and sunny day – and the route began in the City, skirted round St Paul’s Cathedral, over the Thames, past the Globe Theatre and Tate Modern and back over the Thames again. Over 4,000 people took part and the thousands of blue T-Shirts created quite a scene along the route! Staff are very pleased to have raised a total of £805 in sponsorship so far, and every pound raised goes towards funding new research and providing support to dementia suffers and their carers. This entry was posted in Alzheimer's Society, Memory Walk on October 25, 2018 by admin.